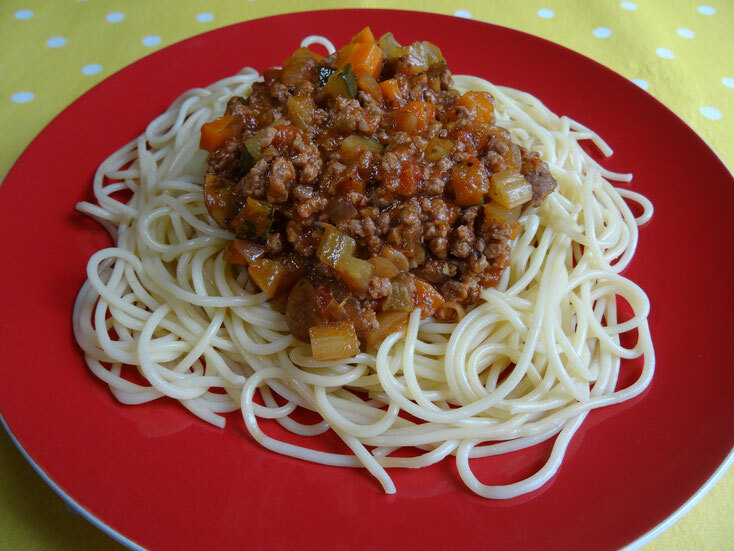 Get more from a packet of mince with this delicious version of a bolognese. Throwing all that veg in might fool even the most hardened veg hater!! It takes a little time but if you make a large batch you can freeze some to have another day. You can change the veg to suit & even take out the mince altogether to make it vegetarian friendly! Brown the mince in a large frying pan over a medium heat. Transfer the mince to a large saucepan. 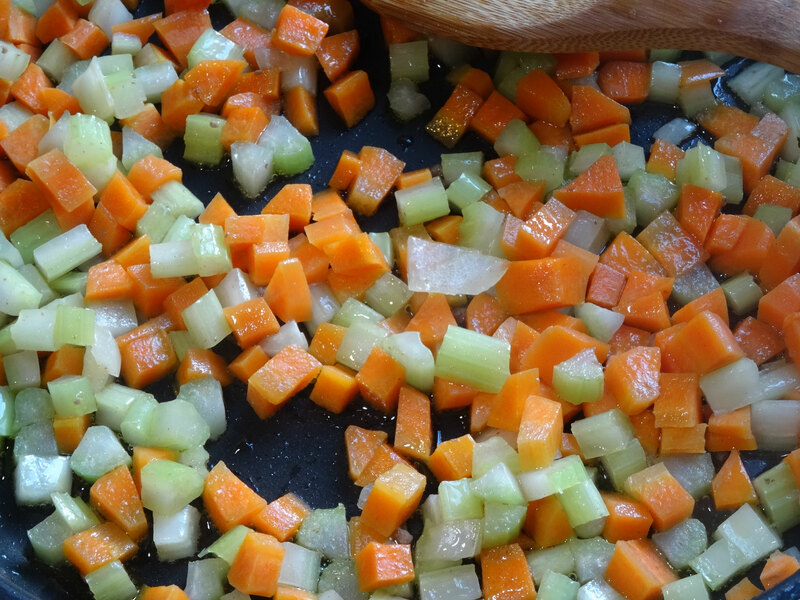 Put about 1-2 tbsp oil into the frying pan then add the carrot. Cook for about 2 mins then add the celery. When the carrot & celery start to soften add the onion & courgette, cook for another 4 minutes before adding the mushrooms. 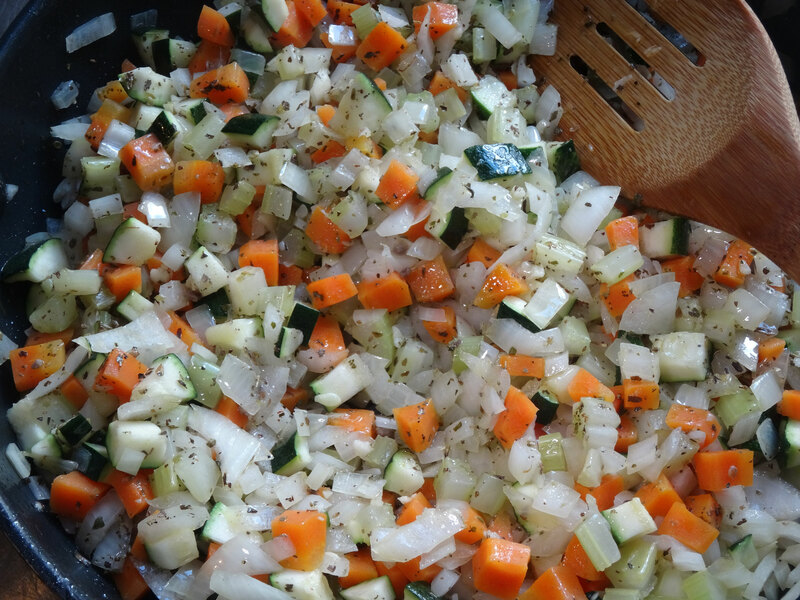 Once all the veg is nice & soft add the garlic & herbs. After 1 minute stir in the tomato puree & cook for another 3 minutes. 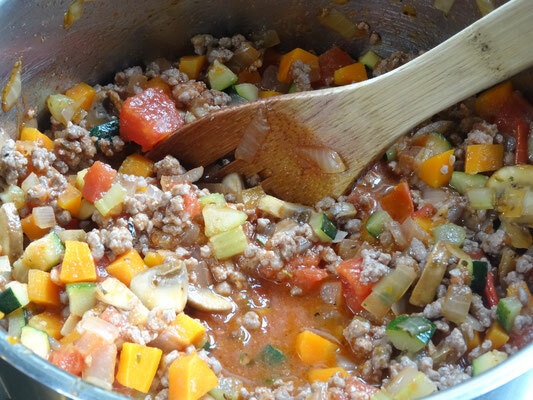 Add the vegetable mixture to the mince in the pan with the tomatoes, fill the empty tin with water halfway & pour into the pan. 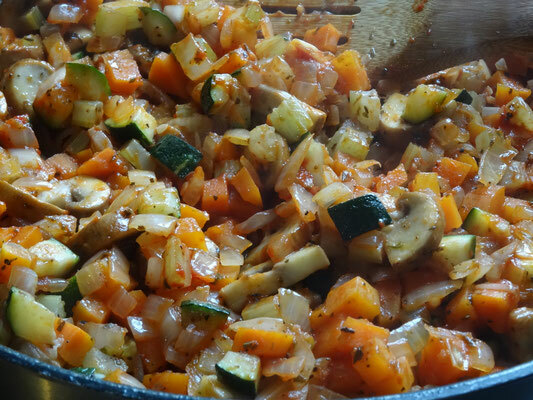 Stir well & simmer on low-medium heat for 5 minutes. Season with salt & pepper & crumble in the stock cubes. Serve over spaghetti or tagliatelle. 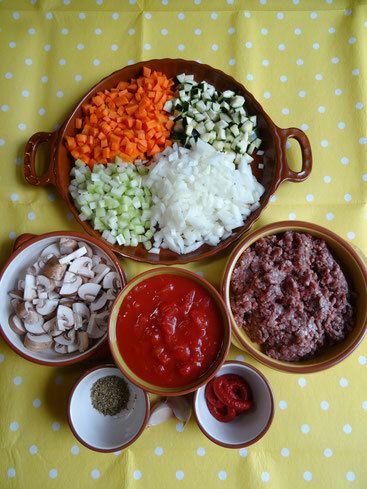 If you want to freeze the bolognese, cool it completely place into a freezer safe container or bag & place in the freezer. Use within 2 months.